Naomi and Asuka are the only ones that get real entrances, so take that for what it usually means. Maria goes out early, and Nikki Cross battles with Candice LeRae, but both get tossed in short order. Ember Moon and Naomi have a pretty good back and forth that Naomi comes out on top of, but then Naomi goes out, so we’re guaranteed a new winner tonight. Moon hits the Eclipse on Mandy Rose, but makes the mistake of going to the top, and Lana knocks her to the floor. Kairi Sane goes at it with Sarah Logan, then the Riott Squad tosses Lana. More triple teaming from the Riott Squad gets rid of Kairi, then they team up to drill Asuka with a nasty running knee from Logan, then they turn to Dana Brooke. Dana holds her own and manages to toss Ruby then Liv Morgan, but then Zelina Vega gets tossed, followed by Mandy and Sonya Deville dumping Dana. Five women remain, and Mickie James superkicks Mandy out before Sonya knocks Mickie out too. We’re down to Asuka, Sonya Deville, and Sarah Logan. Asuka tears into both of them, sends Sonya to the apron, and sweeps her leg out to dump her. Sarah quickly comes in from behind and tosses Asuka, but here comes Carmella, who was apparently hiding under the ring. Sarah lays her out with a clothesline and tries to toss Carmella, but Carmella knocks Sarah to the apron and superkicks her to the floor. We see a lot of people in the back because we are going to have an 18 person mixed tag match. Match Number Three: Matt Hardy, Jeff Hardy, Tucker Knight, Otis Dozovic, R Truth, Naomi, Asuka, Nikki Cross, and Carmella versus Karl Anderson, Luke Gallows, Andrade Almas, EC3, Shelton Benjamin, Mandy Rose, Sonya Deville, Zelina Vega, and Lana. Nikki and Vega start things off. Nikki screams and Vega backs up. They lock up and Nikki with arm drags and she slams Vega’s head into the mat. Since it is only appropriate, it is time for Lacey Evans to walk to the ring, see the invisible force field, turn around and go to the back. Vega sends Nikki into the turnbuckles and Vega with a knee and she chokes Nikki in the ropes. Nikki with a belly-to-back suplex for a near fall. EC3 tags in and Jeff Hardy comes in. Jeff with a wrist lock and Matt tags in and goes to the turnbuckles for a screaming elbow to the arm. Matt with shoulder wringers but EC3 with a punch. Matt with an Irish whip and he runs into a boot. Matt with a Side Effect for a near fall. Matt sends EC3 into the turnbuckles of deletion. Tucker tags in and then Otis tags in. Otis with an Irish whip and Tucker with a gingerly placed splash off Otis’ back into EC3. EC3 falls to the mat and Otis with the Caterpillar. We are back and Mandy gets a near fall on Naomi. Naomi with a sit out jaw breaker. Almas tags in and R Truth enters. Truth with a leg lariat and then Truth does a split and hits a splash into the corner. It is time for a Dance Break. Anderson attacks Truth and then it is a cluster so the referee calls for the bell. As first announced by five-time Women’s Champion Alexa Bliss during her Raw talk show “A Moment of Bliss,” the inaugural WWE Women’s Tag Team Champions will be determined inside the dreaded Elimination Chamber at the Elimination Chamber pay-per-view on Sunday, Feb. 17. The contest will feature three teams from Raw and three teams from SmackDown LIVE. Nia Jax & Tamina earned their way into the match with a victory over Bliss & Mickie James on Raw the night after the Royal Rumble event. Later that night, Liv Morgan & Sarah Logan joined them in the contest by taking down Natalya & Dana Brooke. The following night on SmackDown LIVE, Mandy Rose & Sonya Deville became the first blue brand team to be officially accepted into the Elimination Chamber. Over the following weekend, The IIconics’ Billie Kay & Peyton Royce tweeted that they had also been accepted into the match. Despite a pre-match ambush from Alicia Fox & Nikki Cross that sidelined Sasha Banks, Bayley almost single-handedly made sure that she and The Boss overcame their unhinged opponents to become the third and final Raw tandem to earn its way into the nightmarish structure, leaving just one SmackDown spot to be filled. Prior to SmackDown the following night, Carmella & Naomi announced that they had been accepted as the final tag team to participate in the history-making championship bout. Get your tickets for the WWE Elimination Chamber pay-per-view in Houston’s Toyota Center at www.HoustonToyotaCenter.com. It was extremely fitting that the announcement was made by The Goddess of WWE, as Bliss won the first-ever Women’s Elimination Chamber Match in 2018, toppling five other Superstars and successfully defending the Raw Women’s Championship inside the career-altering combat zone that debuted in 2002. This time around, Sasha Banks & Bayley and Mandy Rose & Sonya Deville will start the bout, while the remaining four duos remain enclosed in pods. 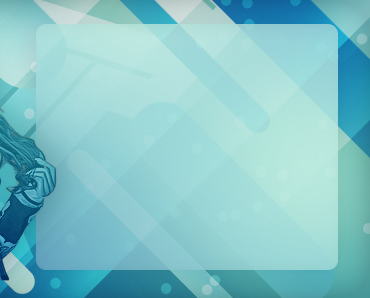 At specified intervals, a pod will open at random, enabling a new team to enter the match. This will continue until all six pairs have joined the bout. If one member of a team gets eliminated at any time via pinfall or submission, both members of the team are eliminated and must leave the contest. The last tag team standing will be declared the winner and the first-ever Women’s Tag Teams Champions. Who will make history? Find out at WWE Elimination Chamber, Sunday, Feb. 17, streaming live at 7 ET/4 PT on WWE Network! Naomi says Mandy Rose told the phoniest sob story about something that happened four years ago on Tough Enough. Carmella says Naomi wanted a tag team partner and she came to Carmella. They will come out on top at the Elimination Chamber. Billie Kay and Peyton Royce say being the first tag team champions would be full circle for them over the last fourteen years. It would be all worth it. Sonya Deville and Mandy Rose are asked about their opponents. Sonya says Carmella and Naomi are way over their heads. Sonya says you don’t laugh your way to victory like the Iiconics. Mandy says that they are the only ones in this match who have been inside the Elimination Chamber. Mandy says that Naomi hasn’t pinned her yet so she must be doing something right. Sonya and Carmella start things off and lock up. Sonya sends Carmella to the mat and Mandy tags in and kicks Carmella. Carmella with a waist lock and wrist lock. Carmella with an arm bar. Naomi tags in and so does Billie. Naomi with a kick and snap mare followed by a sliding clothesline. Naomi tags Carmella in for a double DDT on Billie and Carmella gets a near fall. Peyton tags in and kicks Carmella in the corner. Billie holds Carmella and Peyton with a spin kick. Billie tags in and she gets to close to Mandy who tags in. Sonya tags in and Mandy with a suplex followed by a sliding kick from Sonya for a near fall. Sonya backs Carmella into the corner and tags Mandy in. They kick Carmella and Billie and Peyton tag in and Peyton with a snap mare and reverse chin lock on Carmella. Billie tags in and Peyton with a face buster onto Billie’s knee and she gets a near fall. Peyton tags in and she kicks Carmella. Carmella kicks Peyton and punches Billie on the apron. Carmella with a crucifix for a near fall. Carmella with a thrust kick but Billie tags in. Carmella kicks Billie into the corner and Mandy tags in and stops Carmella from making the tag. Mandy kicks Carmella in the corner. Mandy with an abdominal stretch. Mandy keeps Carmella from making the tag for a moment and Naomi tags in. Mandy tags Sonya in and Naomi chases Mandy. Naomi with a round kick followed by a scorpion kick and springboard round kick. Peyton tags in and Naomi with a kick. Naomi kicks Billie off the apron. Naomi sends Peyton into Mandy and the tag is made. Naomi punches Mandy. Naomi with boots to Peyton followed by a Rear View. Mandy with a sit out gourdbuster for the three count. Beth Phoenix joined the commentary team. Lacey Evans drew #1. Evans took the mic and said, “Tonight, ya’ll will witness history.” She introduced herself and said she was the one and only true lady of WWE. She said she was here to clean up the entire women’s division. They faced off and Lacey went for a hiptoss. Natalya blocked it and they faced off. They each went for a dropkick at the same time, missed, and faced off. Evans shoved Natalya. Lacey was clotheslined over the top but landed on the apron and made her way back into the ring, jumping over Natalya’s back. Natalya was caught on the top rope. Evans went for a powerbomb, but Natalya turned it into a rana. Evans missed a moonsault. Mandy Rose was #3. She nailed a clothesline on Natalya and peppered her with forearms. Mandy tried to toss Natalya over but was fought off. Evans went for a kick but Natalya caught it and slammed her down. Natalya placed them both in the Sharpshooter at the same time. That is such a great spot. Liv Morgan was #4. She charged Natalya but was backdropped over the top to the floor. Morgan and Mandy double-teamed Natalya but Mandy was quickly turned on. Evans drilled both Mandy and Natalya in the corner. Mickie James was #5. Mandy kicked down Evans. Mickie hit the ring and clotheslined everyone. She laid out Natalya with a kick. Mandy charged her but Mickie drilled her and hung herself over the ropes with an armbar. She saved herself from elimination, then tossed Mandy over the top. Mandy saved herself from being eliminated but was hit with a Lou Thesz Press. Ember Moon was #6. Moon nailed a bodypress on James and Natalya. She drilled Evans with a Gourd Buster. Moon worked over Rose in the corner. She tried to toss Rose over the top but Mandy held on. Everyone battled. Billie Kaye was #7. She refused to get in the ring and instead walked around ringside. She told the announcers that she was waiting for Peyton Royce to come out. Moon nailed a hip attack on Lacey in the corner. Everyone else tried to toss each other over the top. Nikki Cross was #8. She got a nice pop. She attacked Kaye on the floor, then went to the top and hit a bodypress on everyone battling in the ring. She tossed Lacey over the top but Evans saved herself. Cross nailed a big splash in the corner on Mickie. Mandy confronted her but Cross broke free and nailed an inverted DDT. Kaye finally entered the ring but was tackled by Cross. They brawled on the mat. Peyton Royce was #9. She charged the ring and attacked Cross. The IIconics worked over Cross. Moon snapped Peyton over with a rana. She tried to toss Peyton over the top but Billie made the save. They worked over Moon. Mickie battled with Lacey. Mandy and Cross battled in the ropes. Moon was tossed over the top but pulled herself through the middle rope to save herself. Tamina was #10. She attacked everyone, dishing out Samoan Drops. Nikki drilled her with a running forearm. Tamina didn’t move. Cross loved that and they battled. Cross tackled her through the ropes. Tamina returned and nailed a superkick. She went to the top and nailed the Superfly Splash on Cross. Tamina was kicked away as she approached James. James nailed a Thesz Press off the ropes. Everyone battled. Mickie was sent over the top. She fought to get back in the ring but was superkicked off the apron by Tamina. Xia Li from WWE NXT was #11. She went right after Tamina and nailed her with a spinning kick. She scored with kicks on everyone. She and Tamina battled. It was a little rough but Li drilled her with a version of Trouble in Paradise to take down Tamina. Sarah Logan was #12. She attacked Natalya and then drilled both of the IIconics with knees. She slammed Moon down, then dumped her over the top. Moon was saved by her boots catching the bottom of the ropes as she hung upside down. Cross was dumped by the IIconics. Charlotte Flair is unlucky #13. Everyone went after her as she hit the ring and she fired away with chops. Lacey Evans dumped both of the IIconics. Billie Kaye and Peyton Royce are each eliminated. Xia Li was drilled with a big boot and crashed to the floor. Charlotte and Tamina chopped each other as everyone else battled. Charlotte clotheslined Tamina over the top to the floor. Natalya and Sane double teamed Logan and tossed her out. Kairi went to high-five Natalya but was kicked in the gut instead. Number 15 was Maria Kanellis. Kanellis tried to get Lacey and Flair to listen to her but they instead attacked her. They argued with each other, allowing Maria to nailed a double bulldog on them. She attacked Moon and set up for the Bronco Buster. Flair speared her and told her she didn’t belong in this ring, but before she could dump her, Evans attacked her again and they battled away into the corner. Number 16 was Naomi. She attacked Mandy, as you would expect and tried to suplex her out of the ring to the floor. They battled on the apron. Naomi caught her with a kick and tossed her off the apron to the floor. Mandy went under Naomi and tried to powerbomb her off the apron. Naomi twisted her body so her hands hit the floor, kicked Mandy away, then pulled herself onto the ring barrier. She walked across the barrier and did a huge leap to the ring steps. That was damn impressive. As she walked up the steps, Mandy attacked and pulled her to the floor. Naomi and Mandy battled on the floor, until security broke them apart. Number 17 was NXT star Candice LaRae. She and Moon battled back and forth. Everyone battled. Number 18 was Alicia Fox. She nailed several dropkicks. She went for Maria, who instead tried to get her to agree to an alliance. They went after Kairi and sent her into the corner, with Fox nailing another dropkick. Maria went to give Alicia her captain’s hat but Alicia offered it to her to wear. Maria wore it, then stomped on it. Alicia lost it and had a temper tantrum over the hat. Maria tried to run away but Fox pulled her back from the ropes and sent her into the corner. She finally tossed her out. Number 20 is Zelina Vega. She hit the ring and went right after former NXT rival Candice LaRae. LaRae nailed a dropkicked and worked her over in the corner. Zelina nailed a double knee strike. Catanzaro was worked over by Sane. Everyone battled. Number 21 is Ruby Riott. The other members of the Squad came out with her. They pulled Flair out from under the bottom rope and worked her over. Riott entered the ring but was caught with a rana that drove her into the mat. Fox was also pulled under the ropes and worked over by the Squad. Vega pulled out a Jimmy Hart, going to the floor and hiding under the ring. Riott tossed Alicia Fox. Alicia Fox has been eliminated. Candice battled Ruby but was pulled off the apron and powerbombed into the barried by Logan and Morgan. They tossed her back in the ring, where Ruby dumped her to the floor. Candice LaRae has been eliminated. Number 22 is Dana Brooke. The Squad pulled her from under the ropes and worked her over. Ruby Riott smashed Kairi Sane over the top to the floor. Kari Sane has been eliminated. The Squad continued to beat down Sane on the floor. Number 23 is Io Shirai. They challenged her as she came to the ring. She went right after them and hit a moonsault off the top to the floor on them. Shirai officially entered the match and tried to toss over Riott. Riott caught her with her legs and pulled her over the top to the apron. Moon drove down Catanzaro with a backbreaker. Number 24 is former NXT UK Women’s Champion Rhea Ripley. She cleaned house on everyone with forearms and boots. Dana tossed Catanzaro, who landed on her rear with her feet in the air. She did a handstand and walked to the ringpost, then American Ninja Warrior-ed her way back into the ring. She went for a bodypress on Rhea, who caught her and went to slam her, but Kacy turned it onto a series of rotations and landed in a front guillotine choke. Ripley powered out of it and manhandled her, tossing Kacy to the floor. Kacy looked GREAT. Kacy Catanzaro has been eliminated. Number 25 is Sonya Deville, who looked good. Rhea tossed Dana Brooke out. Dana Brooke has been eliminated. When she crashed to the floor, Zelina popped out from underneath laughing at her. Next to her popped out HORNSWOGGLE. Zelina freaked out and he chased her around ringside and into the ring, where she was smashed and eliminated by Ripley. Eliminated is Zelina Vega. Swoggle chased her all the way to the back. Number 26 is Alexa Bliss. She laid out Ember. Then, she caught Flair with a front facelock. Everyone battled. Bliss eliminated Deville. Number 27 is Bayley. Nice pop for her. She took the fight to everyone. She eliminated Rhea Ripley and Ruby Riott. The crowd was loving this. Everyone battled. Number 28 is Lana. Lana was limping out from the bump she took off the apron early and took her time walking down the aisle. The announcers said medical staff were checking on her. You could hear a big “We want Becky” chant. Everyone battled. Lana never made it to the ring. Number 29 was Nia Jax. She saw Lana in the aisle and attacked her, then stomped on the ankle. Lana was sent into the ring barrier, so no Lana. Nia kicked Shirai out of the air and began wiping everyone out Shirai went for a moonsault but was caught and dumped to the floor. Natalya tried to deadlift Nia over the top but was overpowered and tossed over the time. Natalya was eliminated. She was in the ring 56 minutes. Number 30 was Carmella. She nailed a rana on Nia, then a leaping kick on Moon. Nia charged and wiped her out. Alexa went to attack Nia. Becky Lynch came out as they were checking on Lana. She argued with Fit Finley and demanded to be added to the match. He finally agreed. The place went NUTS. Becky battled with Charlotte and they brawled. Lynch was tossed over the top but saved herself. Nia tossed her over the top and saved herself again. She nailed a missile dropkick on Nia. Moon and Bliss battled in the center of the ring. Bliss used Moon’s hair to pull her over the top to the outside. They battled on the apron. Moon drilled her with a hard shot. Bliis tried to force her off the apron and finally nailed a STO on the apron and Moon bounced off to the floor. Carmella attacked Bliss and nailed the Bronco Buster on the corner. She and Bayley worked over Bliss Bayley nailed a bucklebomb. Bliss was dumped over the top by Bayley and Carmella and was eliminated. The crowd booed that. Nia grabbed Becky and teased punching her in the face again but Charlotte attacked her from behind. It’s down to Becky, Nia, Carmella, Bayley and Charlotte. Carmella nailed a flying bodypress off the top but Flair rolled through and slammed her. Flair went to the top but was rocked by a Carmella right. Carmella went for a handstand headscissors but was shoved over the top. Carmella was tossed over the top but fought Flair off on the apron. Nia was on the apron and Carmella fought her off but was kicked off by Flair. Bayley attacked Flair and almost eliminated her. She nailed Nia and drilled Flair with a neckbreaker. Nia caught her and had her in a Samoan Drop position. Flair hit a big boot on Nia, who dropped Bayley, who crashed over the top to the apron and then to the floor. Your final three are Nia, Becky and Charlotte. All three circled each other. Lynch was knocked through the ropes to the floor by Nia.. Flair told Jax to stay out of it but she didn’t listen. She nailed Flair and tried to toss her over the top to the floor. Flair deadlifted her but lost her and dropped her. Flair got Nia over the top. Lynch, on the floor, knocked her off. Becky and Flair faced off. Flair waited for her to enter the ring but Nia blasted Lynch off the stairs to the floor. Lynch grabbed at her knee immediately. The idea was she couldn’t put weight on the leg. Officials came out and tried to check on her. One of the officials went to raise Flair’s hand but Lynch dove into the ring and stopped that, screaming she can go and no one was taking this from her and this was her life. Flair attacked her knee and began beating the hell out of it. Flair tied Lynch to the tree of woe for a moment and worked her over. Flair tired to muscle her over the top and then slammed her down. Lynch nailed Flair and sent her over the top to the apron. She drilled Flair with a right but was kicked in the leg and went down. Flair returned to the ring, saving herself from elimination. Flair was nailed and sent over the top, then hit the apron and Lynch kicked her off. Your winner, going to Wrestlemania, Becky Lynch! With Sonya Deville repeatedly using social media to opine that Carmella is continually getting opportunities that she doesn’t deserve, The Princess of Staten Island responded and then swiftly challenged Deville to a match. Will Deville back up her bold words, or will she soon be quieted by Carmella’s Code of Silence? Find out this Tuesday night! Carmella says she hears what they are saying. No one thinks she can win tonight. They call her the third wheel. Is it because Charlotte used a kendo stick or because Becky found a personality? Carmella says that she was champion for 130 days and she beat Charlotte and Asuka twice. All she needs is an opportunity. She will use that opportunity to prove that she is everything that she says she is. Mella is Money. Becky tells Charlotte to bring it but Charlotte wooos instead. Carmella sends Becky to the mat and Charlotte goes for a slam on Carmella but Carmella gets to her feet and she gets a near fall with a rolup. Becky with a European uppercut to Charlotte followed by a back heel kick to Carmella. Becky kicks Charlotte to the floor and then hits a forearm off the apron to Carmella and follows with a clothesline to Charlotte. We are back and Charlotte with a shoulder from the apron and she drops Becky on the top rope. Charlotte goes up top and Becky with a forearm and press slam onto Carmella. Becky drop kicks Charlotte and hits a back senton onto Carmella and Becky gets a near fall. Charlotte with chops and Becky with forearms while Carmella watches from the floor. Charlotte with the advantage but Becky with a Thesz Press and punches. Charlotte with punches to Becky but Carmella kicks Charlotte. Carmella with a Flatliner to Becky and Charlotte goes for the figure four but Carmella counters into Code of Silence. Charlotte gets Carmella up but Carmella with a victory roll for a near fall. Carmella with a jaw breaker and Becky with a missile drop kick to Carmella. Charlotte with a fallaway slam into the turnbuckles. Charlotte with a back breaker and boot to Carmella. Charlotte puts Becky next to Carmella and sets for a moonsault onto both. Becky gets up and Charlotte kicks Becky and Charlotte with a moonsault onto both and she gets a near fall on Becky and then Carmella. We are back and Becky and Charlotte fight on the turnbuckles. Becky goes for a superplex but Charlotte blocks it and Carmella pulls Becky off the turnbuckles. Carmella with a handstandcanrana attempt but Charlotte blocks it. Carmella with a Frankensteiner for a near fall. Carmella kicks Charlotte to the floor and then she kicks Becky off the apron. Carmella with a suicide dive onto Becky. Charlotte goes for a moonsault to the floor and Carmella and Becky move. Becky with an exploder to Carmella on the floor. Becky kicks Carmella against the ringside barrier. Charlotte kicks Becky off the apron and Carmella with a rollup on Charlotte. Charlotte with Natural Selection on Becky as Becky tries for DisArmHer on Carmella. Carmella with a super kick and she gets a near fall on Becky. Charlotte breaks up the cover. Carmella slaps Charlotte and then connects with forearms. Charlotte slaps Carmella and then applies the figure four leg lock and Charlotte bridges. Becky with a leg drop off the turnbuckles to Charlotte and Becky gets a near fall. Becky with DisArmHer on Charlotte but Carmella with a super kick. Carmella sends Charlotte to the floor. Becky blocks a suplex from Carmella and Charlotte with a spear on Becky. Carmella with a super kick to Charlotte and Becky with DisArmHer on Carmella and Carmella taps out. After the match, Smackdown Women’s Champion Asuka makes her way to the ring. Asuka and Becky exchange some words. Charlotte Flair, Becky Lynch and Carmella all staked their claims as to why they would be most deserving to face off against SmackDown Women’s Champion Asuka at Royal Rumble last week. 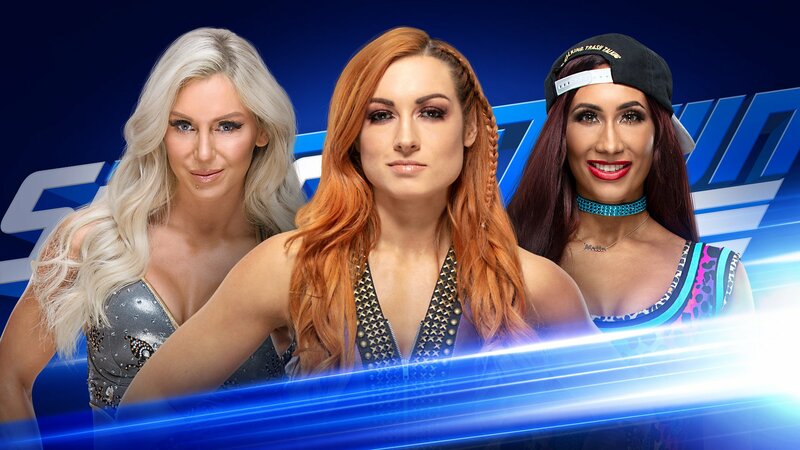 All three Superstars will now get their chance as they’ll square off in a Triple Threat Match this Tuesday night on SmackDown LIVE and the winner will move on to face Asuka for the title in Phoenix, Arizona on Jan. 27. Charlotte and Becky both feel that they should be SmackDown Women’s Champion at this present moment and only are not because of Ronda Rousey’s interference in their match against Asuka at WWE TLC: Tables, Ladders & Chairs. Carmella, who reigned as SmackDown Women’s Champion for a staggering 130 days in 2018, has multiple victories over Flair, Lynch and Asuka, and believes that puts her right in line for another title opportunity. 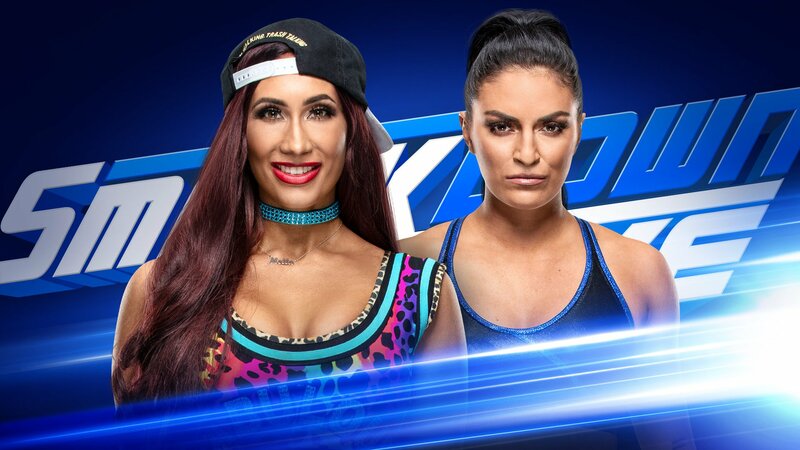 All of this has been taken under consideration by the McMahon family, and now the three top challengers will collide this Tuesday night on the blue brand to prove who is most ready for Asuka next. Who will prevail? Find out this Tuesday night on SmackDown LIVE at 8/7 C on USA Network. Jinder Mahal and Alicia Fox vs. R Truth and Carmella in the finals of the Mixed Match Challenge. The winners will receive #30 in their respective Royal Rumble matches and a vacation to “anywhere in the world.” That should lead to some interesting vignettes. Truth came out in a San Jose Sharks jersey. The crowd was super into Carmella and Truth’s entrance, which is pretty fun. They are streaming the match on Facebook Watch as well. Truth played to the crowd at the bell. He and Mahal locked up with Mahal taking him down to the mat with a side headlock. Jinder went to rebound off the ropes. Truth ducked but instead of going up and over, Mahal grabbed Truth, only to be reversed and rolled up for a two count. Carmella and Fox tagged in and faced off. Truth and Carmella nailed a double hip toss, sending them to the outside. They did the Carmella Dance Break. The Singhs tried to take part but Truth tossed them to the floor. Carmella nailed a spinning head scissors to take down Fox. Fox nailed a Northern Lights Suplex for a two count. Carmella makes the tag to Truth, who nailed a series of clotheslines and a heel kick. He was distracted by the Singhs, allowing Mahal to kick him. Fox tagged in and demanded her captain’s hat. Truth took it and wore it. Fox kicked him but was nailed by Carmella. She covered him but Mahal interfered. Carmella locked Fox in the Code of Silence and scored the submission. Your winners, Carmella and R-Truth! The match was a mix of comedy and action. After the match, Truth revealed that he had picked Stamford, CT for a trip to WWE HQ as their vacation. Carmella was well, less than enthused.